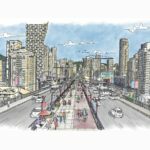 Richard Stewart is the Mayor of Coquitlam, and authored this editorial. Learn more about Mayor Stewart here. It’s a question we hear all the time. In Letters to the Editor, in emails, at Public Hearings. It’s a question with two distinct parts – “letting the owner demolish”, and “perfectly good housing”. First off, Local Government can’t prevent the owners of a building from demolishing it. We can regulate how demolition takes place, we can require they take out a permit, we can set conditions, but if the owner wants or needs to demolish the building, the building will be demolished. And the second part, “perfectly good housing”, I addressed in Part 1 of this discussion. I have never seen the demolition of a unit of “perfectly good housing”. Unfortunately, too much of the housing we call “perfectly good” is very far from today’s safety and livability standards. That is, none of it is perfect, and some of it isn’t even good. But in any case, the challenge before us is much more complex than that. It’s a challenge that was both predictable and predicted — 35 years ago — but it’s a reality that society avoided. We built almost no rental housing for 40 years, that’s how we got here. Here in Metro Vancouver, almost all of our rental housing was built in the three decades from the 50s through the 70s. And then, for a variety of reasons, this region stopped seeing the construction of market rental housing. Some of it was the increasing cost of land in Metro Vancouver, and some was the ending of federal rental housing tax credit programs like MURB. For that matter, some argue that excessive enthusiasm for programs like MURB contributed to today’s problem, by creating an oversupply in the 70s and 80s, which artificially lowered rents, thus making the development of market rental housing unviable for three decades. The same held true in Coquitlam. In fact, with the exception of a project in the 80s where Cressey rebuilt a rental building that had been damaged in a fire (at Schoolhouse and Brunette), Coquitlam saw virtually nobody stepping up to build market rental housing from about 1980 through 2015. As a result, all our purpose-built market rental housing stock is 40 to 60 years old. Like most products with a “used” market (for example, used cars), the price of rental housing drops as it ages, as it becomes less attractive to consumers, and more costly to repair/maintain. Of course, market price always relates to demand, and if you go into the typical 40-year-old market rental building, you’ll see why rents are lower, why fewer people want to live in some of our oldest rental housing. That’s essentially how “market rent” gets determined – the highest rent the market will pay for a particular unit of housing. Granted, in this rental crunch, “market rent” for even the oldest and most challenged housing is rising, as renters have fewer and fewer options. And the perfect-storm — a collapse of Alberta’s oil industry during a boon in BC’s economy — has resulted in more workers moving here for jobs, and needing rental housing. In most North American markets, as 40- to 60-year-old housing reaches the end of its life, the 25- and 30-year-old housing takes on the new role as “affordable”. But here in Metro Vancouver, we don’t have any 30-year-old market rental housing. It’s actually a situation that I predicted 25 years ago, as founding chair of the Society for Housing Affordability in BC. The prediction was that if we didn’t address the market disincentives that made it unfeasible to build market rental housing in the region, we’d reach a point where much of our rental stock was approaching the end of its life at the same time. Where can we build new housing? Part 3 of this series will talk about Metro Vancouver’s Regional Growth Strategy, the establishment of an Urban Containment Boundary to contain sprawl, and the regional target that, for the next million residents of this region, 2/3 of the new housing and 3/4 of the new jobs will be in Urban Centre and Frequent Transit Development Areas, precisely to maintain the livability of Canada’s fastest-growing and most constrained region. It will be clear that we need to ensure the efficient use of land around Skytrain stations. But it will also be clear that, if most of our new housing will be on “redevelopment” sites, we will need sites to redevelop. And that won’t always be without consequence or challenge. There is one important factor that changed last year. Until recently, it was very difficult to buy an aging condominium site for redevelopment, as it required approval of 100% of the owners to wind up the strata corporation. A single owner in a strata could block the sale. That meant that if there were two aging apartment blocks side-by-side, one strata and the other rental, the rental building was likely to be the first one redeveloped, due to the challenges of getting unanimous assent to dissolve a strata. But under Bill 40, signed into law almost exactly a year ago, the threshold has been reduced to 80%, which now frees up more older strata projects for potential densification or redevelopment, particularly those facing significant building envelope failures or major repairs. And that’s a good thing for some of the older rental buildings that still have some years left in them. All of that said, the challenge before us is this: How do we increase the supply of good quality rental housing in this region? And if most of it will be on redevelopment sites, which ones? The apartment building at 540 Smith Avenue was built in the early 1960s by a man named Tony, and his aptly-named company Tony’s Construction. At the time, Smith Avenue was called Smith Road (named after the Smith family), and it was unpaved. This would be Coquitlam’s first apartment building, so it was controversial at the time, and some people opposed its construction. 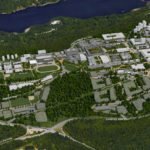 Nonetheless, Coquitlam needed rental housing, and Council approved its development. More than 60 years later, the apartment building at 540 Smith Avenue still stands, though it is tired from its many decades of serving the housing needs of many hundreds of families. 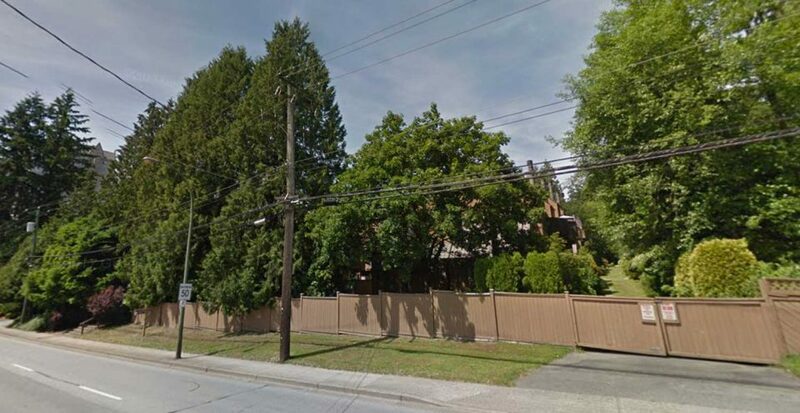 And the site is too-low density for its critical location across the street from the Burquitlam Skytrain Station. At the June 26 Public Hearing into the Burquitlam-Lougheed Neighbourhood Plan, Tony’s Construction (who still owns it) appeared before Council, represented by Tony’s daughter Rosemarie, supporting plans to redevelop the neighbourhood. More than a decade after Tony broke ground on Coquitlam’s first apartment building, Norm Cressie built a modest 101-unit woodframe rental housing complex on Westview near Austin, behind the old Cariboo Hotel. 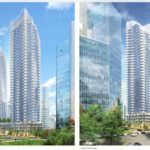 A few months ago — April 24, 2017 — Cressey Development (currently run by Norm’s son Scott Cressey) presented their proposal to redevelop the 40-year-old site with two concrete towers; the proposal would double the number of rental units (to 202), and add 264 condominium units. A block away from the Cressey project is a development called Brandywine, a 58-unit wood-frame condominium complex built in phases starting in 1976. Most of it is not yet 40 yrs old, though the condo owners face significant special assessments, owing to the challenges of aging wood-frame construction, aging plumbing, roofing, building envelope, etc. Reluctant to spend so much on an aging building, and with pressure for higher densities near Skytrain, 85% of the owners of Brandywine voted to dissolve the strata and sell the site to Anthem Properties for $32 million – significantly more than the building’s total assessed value. This is only the second time that a strata corporation has petitioned BC Supreme Court to allow it to dissolve since Bill 40 became law on July 29, 2016, with the new threshold of 80% approval. So, if all goes to plan, the owners of Brandywine will sell to Anthem, who will then tear down the aging housing complex and build new concrete towers containing many more units. Hoy Creek Co-op was also built in the 80s, so it is still a young complex, some 35 years old. It consists of two apartment buildings (97 units total) and 60 townhouses. Well, it used to; the rotting townhouses have finally been demolished at the City’s urging, after being boarded up for more than a decade, with many squatters and occasional fires. The Co-op’s current plan is to tear down the 35-year-old apartment buildings and rebuild the Co-op units, using revenue from selling the density that would allow a portion of the site to be redeveloped for condominiums. There are several non-profit housing complexes in Coquitlam that are in a similar situation as Hoy Creek, though not as drastic. Some are owned by churches, others by non-profit societies, and even some by Metro Vancouver’s Housing Corporation. 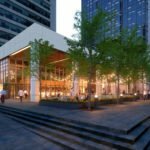 Some of these are now being contemplated for redevelopment, as the aging and inefficient buildings are no longer viable or cost-effective to continue to operate and maintain. The typical scenario will likely see increased density on the underutilized sites, similar to Hoy Creek, allowing the non-profits to replace their housing at no cost to themselves. On July 28, 2016, fire ripped through Building 21 of Whitgift Gardens, an aging rental building occupied primarily by Syrian refugees. Families who had lost everything in a war had lost everything again. But in a way, this could have been called a respectful fire; it claimed no lives, either among the dozens of families that dropped everything and fled the 50-year-old complex, or among the firefighters who fought valiantly to extinguish the fire and protect Buildings 18, 19, and 20, all attached to 21 and separated by fire walls. In the end, the fire damage did jump the fire separation into Building 20, though fire crews were able to protect adjacent Buildings 18 and 19 and the rest of the complex. At 12 units per building, a total of 24 units were no longer occupiable, including the homes of 10 families of Syrian refugees. Generously, the units in this building had actually been renovated (new carpet and paint, plumbing repairs, etc.) by the owner earlier that year, specifically to provide a year of temporary accommodation – at reduced rent – for some of the influx of Syrian families the Federal government was sending to Coquitlam. Some of the complex was already empty, owing to failed boilers or other building systems. In fact, it was a plumber’s torch that had set off the blaze in Building 21, during one of the repeated attempts to patch the building’s paper-thin copper plumbing pipes. The buildings were at the end of their life, with failing plumbing and heating systems, etc., but an effort was made to stretch out another year from the 1960s structures. 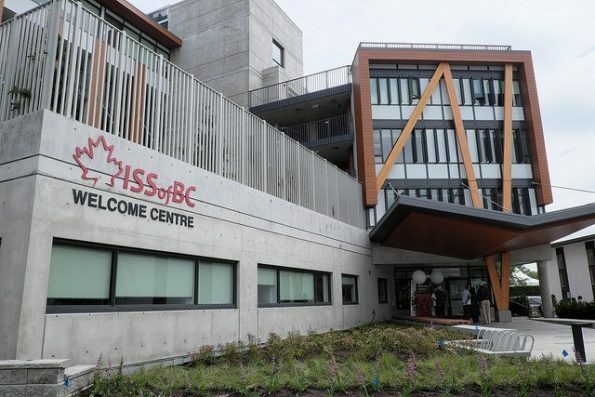 The Immigrant Services Society of BC Welcome Centre in Vancouver. Credit: Government of B.C. A year ago today, I drove downtown a second time to visit some of our Syrian friends who had been displaced in the fire, this time with toys for the children, along with diapers and other necessities for the families. The night of the fire, the families had been moved to a group of townhouses at SFU for a week, and then to the old Welcome House on Drake St. in downtown Vancouver. What I saw in the old Welcome House a week earlier had made me sick, and kept me up for several nights. The apartment building, constructed in the 1960s, had likely served as temporary home to tens of thousands of refugees and other newcomers for their first few nights in Canada. At this point, though, the building was living on borrowed time, as it was slated for demolition. The three-storey walk-up had no elevators. The fire doors were all tied open, contrary to the Fire Code, but they didn’t seal properly anyway. There were rodent/rat traps throughout – especially in the communal children’s play area. The building had two exit staircases; one of them was partly blocked at the bottom, with garbage stored on each landing, and the other impeded by low plumbing pipes. I was shown inside several units, where I found cracked and exposed electrical wiring, a hot water tank in a bedroom, fire hazards in the kitchen. I saw a child’s bed nestled in a 4-foot-wide space that used to be the balcony, now enclosed by windows that opened precariously close to the child occupying the bed. I saw rodent droppings throughout, and decades of … age. In fairness, the building’s demolition had been delayed, as the housing crisis and the hurried welcoming of thousands of Syrian refugees – and now a fire that displaced 10 families — had left the settlement agency (ISS of BC) with no choice but to keep using a building that should have been boarded up. It’s now boarded up. The site will be redeveloped into a new facility for Covenant House. In contrast, the new Welcome House on Victoria Drive (opened last year) is a magnificent facility. Tremendous efforts are made to compartmentalize buildings to limit fire spread, and all of that can be negated in older buildings by the all-too-common practice of propping open the fire doors for convenience. Newer buildings use electromagnets to hold doors in the open position until a fire alarm activates to close them all automatically. This maintains the integrity of the fire separation when it’s needed. Should the old Welcome House be demolished? Of course it should; its useful life is over, and it has already been replaced with an up-to-date modern building much better suited to welcoming newcomers to Canada. Should Hoy Creek Co-op be demolished? Well, part of it already has, though that part has been empty for more than a decade. The rest will be replaced in the next year or two with new units. At least, I hope it will. Should non-profits be allowed to redevelop their properties when the maintenance/repair costs of their older rental buildings becomes too onerous? Of course they should, even if they have to charge a higher rent in the new buildings. Should Brandywine be demolished? Well, most people would have no objection, since it’s an aging condominium building, and the owners want to sell. Even if the new housing will be less “affordable” than the older units were. Should Cressey be allowed to tear down their 40-year-old rental building? Most people I suspect wouldn’t object, since it’s the same builder who built the original building, and since the new building will have twice as many rental apartments. Of course, the new units, though more energy-efficient and built to a higher safety standard, will undoubtedly rent for more than the old building’s apartments could command. 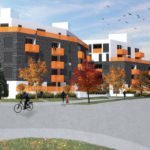 Should the builders of Coquitlam’s first-ever apartment building on Smith Avenue be required to maintain the site as rental forever? More than a half-century ago, Tony could have built a neighbourhood store or some other type of building, but instead he overcame the objections of-the-day, and built much-needed rental housing; should they be penalized now for their decision? If rental housing is a societal good (which it clearly is), should the burden be borne only by those who built rental housing in decades past? And that’s the question we hear all the time. “Why are you letting the owner of that building demolish perfectly good housing?” Well, we won’t hear it for four of those seven examples, regardless of how “affordable” the housing is, because the housing that has reached the end of its life is owned by a church or a non-profit society, or a group of condo owners, or a Co-op. Should it be different, then, if housing reaches the end of its life when it’s owned by a “developer”? Should Cressey be allowed to replace its own aging rental building with another, one with twice as many units? I’m surprised it’s even a question. So, now what do we do? We’ve had 40 years in which virtually no rental housing has been built in Metro Vancouver. 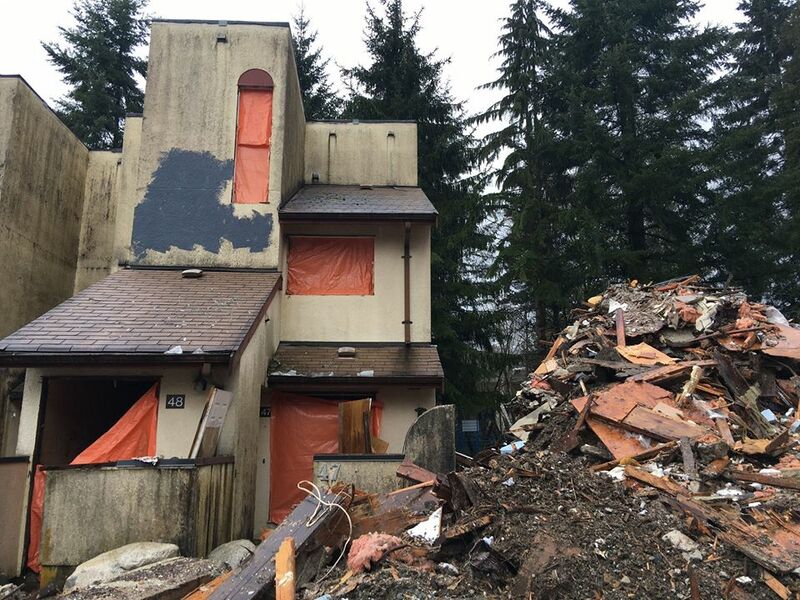 Should Coquitlam prohibit the demolition of older rental housing, as some have suggested, regardless of condition? Or should we encourage the development of more rental housing? And yes, I’d suggest that the two are mutually exclusive. Imagine saying to a property owner “Please build rental housing in Coquitlam. Oh, and we won’t let you demolish it at the end of its life.” Encouraging a desired initiative won’t work if you impose a penalty on those who are foolish enough to take you up on it. In Coquitlam, we’ve chosen to encourage the development of more rental housing, partly because we need more, and partly because we need to replace the rental stock that is at the end of its life. Coquitlam City Council has put in place incentives to make rental housing development more attractive, to make the business case work better. Incentives like reduced parking requirements near Skytrain stations, and the exclusion of rental units from calculation of Bonus Density charges, even waiving or reducing amenity space requirements in rental buildings. With the economics of rental projects starting to look more attractive, many property owners and investors are buying in. 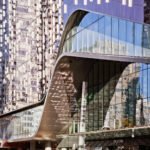 For the first time in 40 years, we’ve now seen proposals for purpose-built rental buildings come before Council, Council has already given the green light for the development of hundreds of new units, and there are now more than a thousand units of rental housing in various stages of processing at City Hall. I predict that we will see another thousand units proposed by year-end. So why not hold onto our existing, aging housing longer? In Part 1, I discussed two of the realities with which I’ve come to grips during my career in housing. Firstly, Building Codes improve constantly, and for good reason, as we continue to respond to, and reject, the risks that previous generations accepted related to the buildings in which we live. Continuous improvement in our building standards is good. Today’s buildings have better fire resistance, built-in fire suppression (sprinklers), smoke and carbon monoxide detectors, safely glass, fire separations, seismic measures against earthquakes, improved energy efficiency, and a host of other improvements. And we now prohibit harmful products like asbestos, and lead in plumbing and paint, and high-flame-spread finishes, Urea Formaldehyde Foam Insulation, and so many other risks. And secondly, as with anything, as buildings age, they deteriorate. Building safety isn’t less important if we call it “affordable housing”, in fact, it’s possibly more important. From fire safety to seismic standards, from air quality to prohibitions on lead and asbestos, we build better buildings today. And the realities of some older buildings — moulds, rodent infestations, moisture problems and rot, aging plumbing, heating and ventilation systems — can create real health and safety issues for residents, issues that shouldn’t be dismissed because the rents are low. We need every community in Metro Vancouver to encourage and support the responsible development of new housing stock and new housing forms – including (and especially) rental housing. In a free economy, the only two things that can lower market price are reduced demand, and increased supply. We won’t succeed in reducing the demand for housing, as this region remains one of the most attractive places to live. That means we need to increase supply. There is not enough housing in this region – particularly rental housing – to meet the demand. But when governments step in with a short-term fix, like the MURBs of the 70s and 80s, or some type of moratorium on replacement of aging housing, we should keep in mind the inviolable Law of Unintended Consequences, and not blindly hope to avoid the reality. Russian-American author and philosopher Ayn Rand was right when she suggested that “You can avoid reality, but you cannot avoid the consequences of avoiding reality.” And there are consequences to holding onto the hope that our aging housing stock will somehow fix itself. Richard Stewart is the Mayor of Coquitlam, B.C.